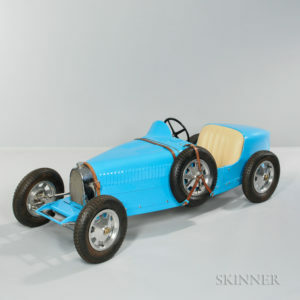 20th Century Design Auction at Skinner, December 14 | Skinner Inc. The sale takes place on Thursday, December 14 at 11AM at Skinner’s Boston gallery, 63 Park Plaza. Previews will be held on Wednesday, December 13, 12 PM to 8 PM and Thursday, December 14, 8 AM to 10 AM. There is something to fit every mood—elegant, practical, funky, serious, playful—as well as every collecting category. The complete expression of design in the 20th century is included, with works from iconic names, lesser-known masters, and designers and craftsmen who will be the famous names of the future. 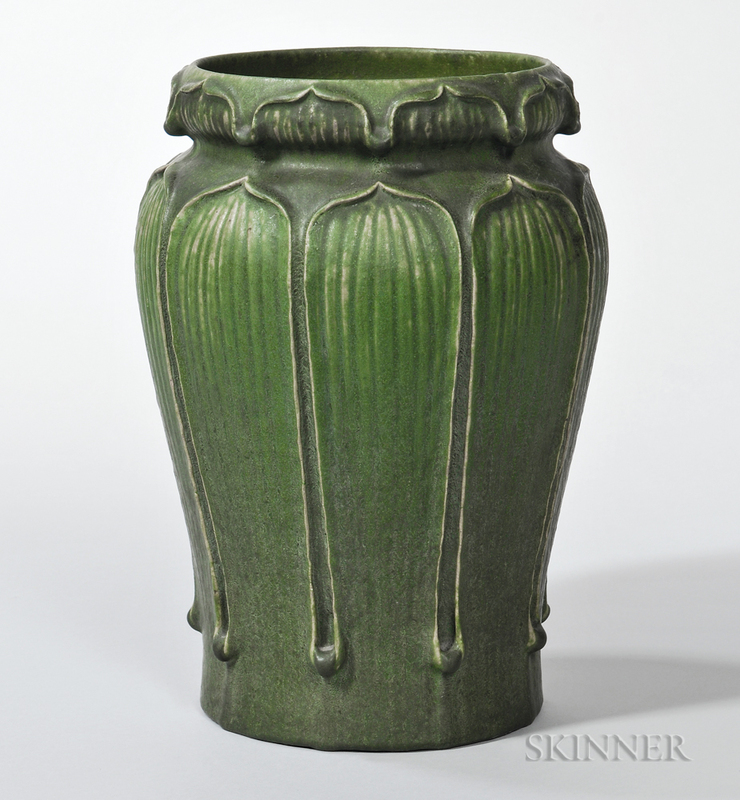 The sale includes several tightly focused collections of material that is fresh to the market. 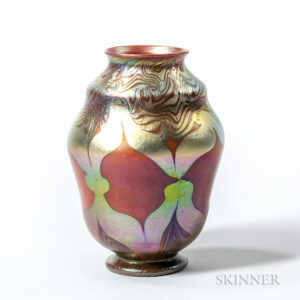 Nan Edwards’ collection of art glass is particularly rich in Tiffany and French and English cameo glass in a wide variety of forms and colors. 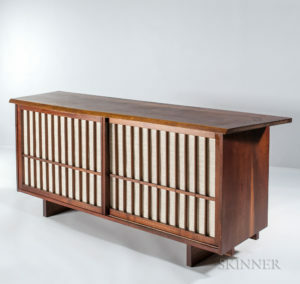 Furniture, the keystone of interior design, is a major component of this sale. The Kanin collection centers on the work of one man, Jens Risom. The Copenhagen-trained Risom worked in the United States from 1939 through the 1960s. His large output through his collaboration with major American companies and later his own manufacturing company helped introduce Scandinavian modernism to this country. Jane Prentiss comments that is rare to find a home furnished exclusively with the work of a single designer; the Kanins’ many Risom pieces were mindfully acquired and lovingly used. • Large Makoto Yabe (1947-2005) Nerikomi Blue Pottery Bowl, Massachusetts. 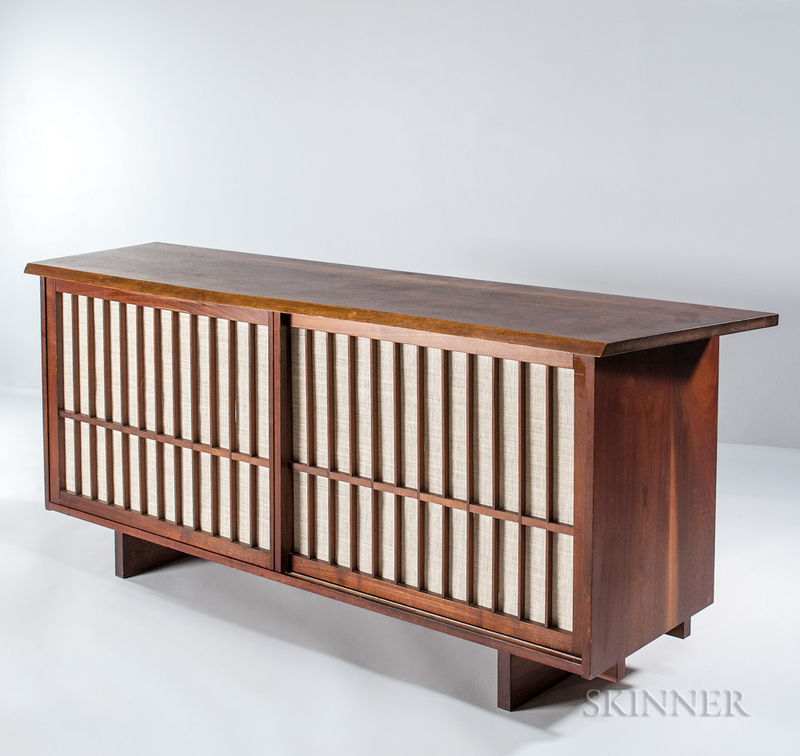 This entry was posted in News and tagged george nakashima, Jens Risom, mid-century design, mid-century modern, modern design auctin, tiffany favrile by Kerry Shrives. Bookmark the permalink.